I received some pics from a Making Babies member (also a good friend) of her Ovulation Predictor kits(OPK), and thought I would share them with you as well, and also do a quick recap on how OPKs work. Unlike Home Pregnancy Tests(HPT) a second line is not always a positive result. 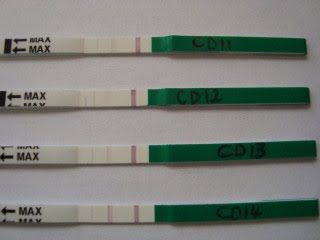 When taking an OPK, you want the test line to be as dark (or darker) than the control line. That would indicate the positive result, which means the test is picking up the Luteinizing Hormone (LH) surge that is produced just before ovulation. Once you have gotten your positive result, you are supposed to ovulate within 12-36 hours. I noticed with my positive results, I would ovulate 2 days later. So it's not uncommon to go as long as 48hours after the positive. 1) It's best to test late afternoon/early evening. I used to get my best results at 3pm. However, some ladies get better results at 6pm. It all depends on how your body produces LH. 2) Try to limit your fluid intake for at least 2 hours before testing. This includes holding your P for those 2 hours prior. 3) If you are using a Making Babies OPK, remember the test needs 10 minutes to react after the urine has passed over the control line. DO NOT discard the test after a few minutes. WAIT the whole 10 minutes for an accurate result. 4) If you are taking Clomid/Fertomid only start using OPKs about 2 days after your last pill. If you would like more info on OPKs, visit this LINK on Making Babies. Unfortunately these pics were taken when the tests had already dried... :) But you can still get the general idea of how OPKs work. The top pic is the positive on CD19, it was by far the darkest line N got. A true positive. She did test on CD20 again, and it was a negative. The bottom tests, are the few she took leading up to CD19. You can see she had a nice build up of lines. How do you track your ovulation? We will be running weekly polls on varies subject matter every Wednesday. Be sure to check back with us frequently to vote and view the results. 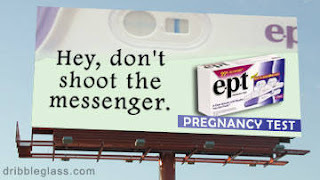 Plenty of fertile thoughts going out to everyone! If you are not part of the Making Babies Community, click HERE to join. It's that easy! Just look at those gorgeous lines hey! Another happy Making Babies client with a beautiful BFP!!! Check out our HPTs over at Making Babies!! Now where was this test when I was TTC? Could have done with a few POSITIVES in my journey, albeit fake ones LOL Could have been a real "pick me upper".... NOT... 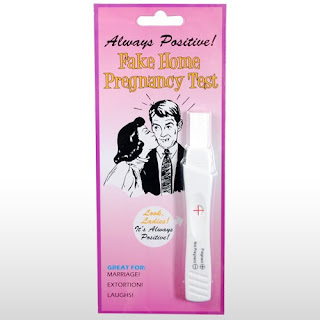 When I saw this on the WWW I wondered how many of these tests were bought for (what it was meant for) jokes, to fool someone into thinking the tester was indeed pregnant. I thought this bill board was quite funny. "Don't shoot the messenger." In other words, don't fling that negative test across the room, or rip it too pieces after you have given it the stare of death. I know I've often felt in the past like setting them on fire and watching it die a slow painful death. Darn pee stick! And on the topic of HPTs, (come on you knew I was going to do a shameless plug, again) Don't forget Making Babies stock awesome sensitive HPTs at very affordable prices. Check it out! 1)All purchases for the month of October, your name will automatically go into the lucky draw for the Revitalizer Hamper Make sure you also stand a chance to win, by simply commenting on the blog post either here on this blog post or on the Making Babies Network! 2)Our special on the Conceive Plus (and OPK/HPT) we are having this week! I might even extend it to next week, to tie up with the hamper give away. 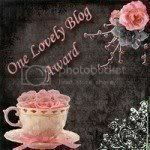 I came across this on my FAVOURITE forum MOMMY this morning, but have received it via email too in the past.. Just thought I would share it with you all. you think I should have a baby?" that she will forever be vulnerable. be worse than watching your child die. women's at McDonald's will become a major dilemma. second-guess herself constantly as a mother. reasons she would now find very unromantic. stop war, prejudice and drunk driving. future Mom, or a Mom at heart. Our first Conceive Plus BFP!!! The only thing we added was the Conceive Plus and I really think that this is what has helped me to get pregnant as DH does not have the best of swimmers and has not used anything for it as he does not like to drink any tabs. 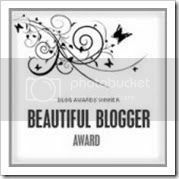 So Marcelle, thanks for a GREAT product will recommend it to anyone. I'm so excited for you girl. And I'm so glad you loved the Conceive Plus!! If you would like to order please pop me an email at marcellem@makingbabies.co.za with your details. Why wait till you're late? Affordable Home Pregnancy and Ovulation Tests available from Making Babies. Our pregnancy tests are super sensitive picking up hCG levels of 10miu/ml. We have a record of ladies getting their BFPs as early as 11dpo (won't brag too much about one we got at 9dpo Wink ) But the average is 11dpo with FMU. 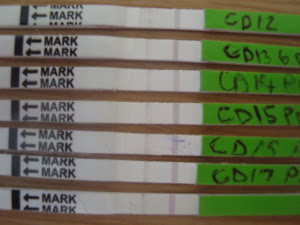 Our ovulation tests, as my client said - Marcelle, these OPKs rock! I've used a couple of other brands in the past, but none of them were so clear! Visit Making Babies or pop me an email at marcellem@makingbabies.co.za to place your order. 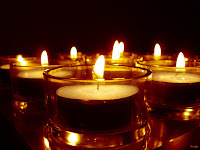 Pregnancy and Infant Loss Remembrance Day is to create awareness and support for those families who have gone through the heartache of losing their babies. I have been down this road with many of my dear friends, we have cried together and held each one up when it was getting too dark to go on. Grief is a somewhat complicated and misunderstood emotion. Yet, grief is something that, unfortunately, we must all experience at some time or other. We will all inevitably experience loss. Whether it is a loss through death, divorce or some other loss, the stages of grieving are the same. 1-Denial-"this can't be happening to me"
Sometimes you mix up the order of the stages. I know I had to immediately jump into acceptance when I decided to end my relationship with my DH. The bargaining was always there. I know I have been through each stage at some point during my TTC journey. The depression I think will always be there, under lying. I had to deal with failed cycles month after month for over 3 years. I don't think it will go away totally. Then all of the sudden I was closing the door on it. Never really dealing with it, jumping straight to stage 5. As of recent I've been dealing with it all over again. Only this time I'm having to grieve two losses at the same time, that of a relationship and of another child. Some days it's hard to define which one I'm grieving. I think it's taking quite a toll on my sanity at the moment. I don't want to go google and give you steps on how to deal with it. Anyone with personal experience that would like to share??? Pregassist for females capsules have been specially formulated to provide beneficial nutrients and plant extracts to help assist, stimulate and improve metabolism in order to help improve and enhance fertility in women. Pregassist for males capsules contain a specially formulated blend of vitamins, minerals and ashwaganda extract that helps promote and improve male fertility. To those of you who are TTC your 2nd, 3rd, 4th etc etc babies. I have a few questions…. How long did you TTC with your first (previous) kiddies? It took us 10 months TTC McK. I left my BCP the day I got married Almost 10 months to the day I got my first ever BFP. Your first TTC attempts, were you just going with the flow or actually into the whole charting/temping/POAS thing? I didn’t even know about BBT back then. Hell, I wasn’t even checking my CM. LOL. Odd I know. But back then I was a “TTC Virgin”. If it wasn’t for the internet would you still be a crazed TTC addict (and I mean that in the nicest way)? The internet ruined my naïve approach to life you could say. But also taught me valuable information and compassion to TTC and infertility. I don’t think I would have been so obsessed about TTC if I wasn’t a Google freak. How long have you been TTC your 2nd, 3rd etc etc? We were just over our 3 year TTC our 2nd when we surrendered for obvious reasons. Did you think it would take longer or shorter than your first TTC attempt? Of course, I really thought 10 months was for ever!! I tripled that and more, very disappointing as I really thought hey we have one what could be so hard the next time round. When you started off TTC your next baby, did you have a gender preference this time around? I was so excited, I just wanted a boy!! For the first year, it was boy boy boy… from then I just didn’t care, I just wanted a baby. It really does feel like I'm turning the Making Babies blog into an advertising campaign.... :( There are as of late more Product related posts than TTC info rich posts. When I was TTC, I used to read my star sign and let it predict whether I was going to "be lucky" that month. I could turn any star sign reading into something TTC related. So do you have a TTC quirk?